Welcome back! I hope everyone had a beautiful Thanksgiving! Can you believe we are already 2 weeks into my challenge!? This week was a little hectic for me work wise so I apologize ahead of time for the short post. 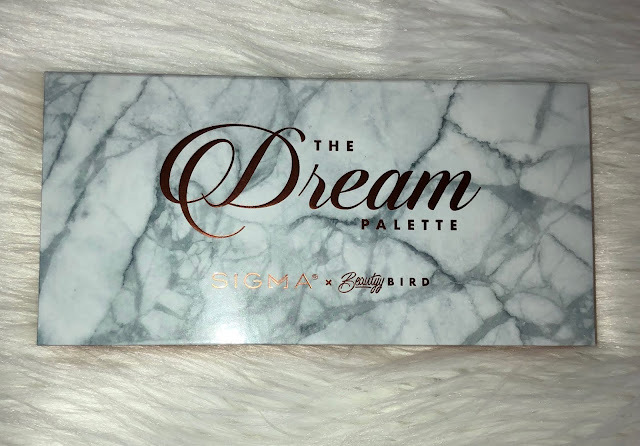 Today we are going to talk about one of my favorite YouTuber's new eyeshadow palette in collaboration with Sigma Beauty! I stumbled across Yasmin aka BeautyyBird on YouTube a few years ago and instantly fell in love with her content, personality, and her family. I was so excited when she announced this eyeshadow palette! BeautyyBird has used Sigma Beauty products on and off camera religiously for years. 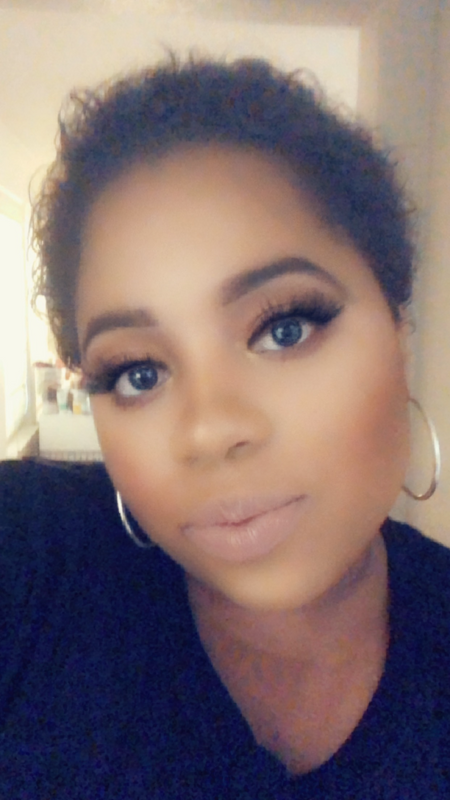 In her videos, she always uses Sigma's brushes, their wicked gel eyeliner, and several other products like their eyeshadows. 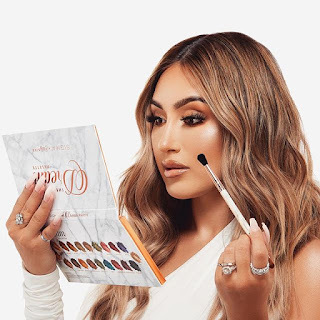 I think it so awesome she was able to create a palette with a brand she has loved for years! The Dream Palette comes with 18 eyeshadows (new formula), 2 highlighters, and a double-sided eyeshadow brush. It retails for $49 on sigmabeauty.com (currently sold out). First off, can we talk about the color theme of this palette! I LOVE IT! This palette is so versatile, you can literally do hundreds of different looks with this. I also love that the palette comes with a double-sided brush because it makes it so easy to travel with. One side of the brush is Sigma's E38 Diffused Crease™ blending brush and the other side is their E58 Cream Color flat brush. Sigma's brushes are extremely good quality and this brush included is no different. The marble detailing is also super pretty! 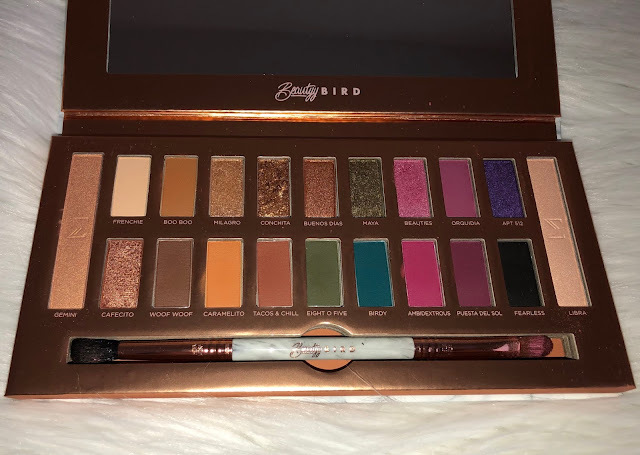 I played with this eyeshadow palette for the past week and I am in love! The formula of the matte eyeshadows is a dream! GET IT? 🤣 They are super pigmented and layer/blend extremely well together with no fallout. My favorite matte shade is 'Ambidextrous' because it is the perfect pink! The shimmer shades did not disappoint either. I actually found they worked better without using a wet brush because they are pretty creamy and blinding as is. My favorite shimmer shade is 'Conchita'. The only thing I am not too crazy about is the two highlighters. The shades are beautiful but the formula is a bit lackluster. I prefer a blinding highlight and this formula is definitely more of a glow from within unless you layer it a few times. I think I will only use them as a brow bone or inner corner highlight. FINAL THOUGHTS: I really enjoy this palette. The new eyeshadow formula she created is so darn good. All of the shadows blend beautifully! I will definitely be taking this palette with me on my next trip because it will save me so much room in my suitcase. I can easily do a smokey eye, color dramatic eye, or a natural eye with just this palette alone. You can really tell Yasmin poured her heart into this product! Congratulations BeautyyBird!